I was rewriting a short story yesterday morning and decided on the title, “The Nick of Time.” Though the phrase isn’t mentioned anywhere in the story, its implications are fierce—linking the main plot and the subplot—I hope anyway. These vehicles we use to write—setting the tone as tragic or comic, voice patterns of characters, memorable moments, fissures or cracks in the story—it’s difficult to bring them all together so that whomever is reading wants to keep reading. The point of this post is to explore where some of our favorite and most used (or ill-used) phrases come from. This is a kipper. And it’s red. When we’re reading a great book or story, it’s the “red herring” that throws us. Remember the first time you watched the Sixth Sense? According to sources, it comes from fugitives smearing a red herring across a trail to keep hunters with hounds from finding their trail. Another theory is that an English journalist used a red herring when he was a little boy to mislead those hounds again, following a trail. Then he began to use it as a metaphor. It’s really a smoked kipper, which obviously is so off-putting; it really takes one away from the matter at hand. A diversion, so you don’t see what’s coming. He either looked like this or maybe turtle-like. Maybe some of you haven’t heard this one. It’s more of a Southern phrase but rumor has it there was this guy who didn’t want to fight in the Civil War and he lived right on the North and South line. To avoid fighting, he stayed drunk which made him unsuitable for all that nastiness. Another story is that Cooter was biracial, born and raised in Louisiana and he stayed drunk all the time and dressed up like an Indian. Still another guess is that it dates back to the 1800s where the lovely Southern phrase, “drunk as a cooter,” (a cooter is a turtle, who knew?) morphed into the Cooter Brown phrase. Maybe because turtles are slow moving and it was related to the careful, slow gait of an inebriated individual? 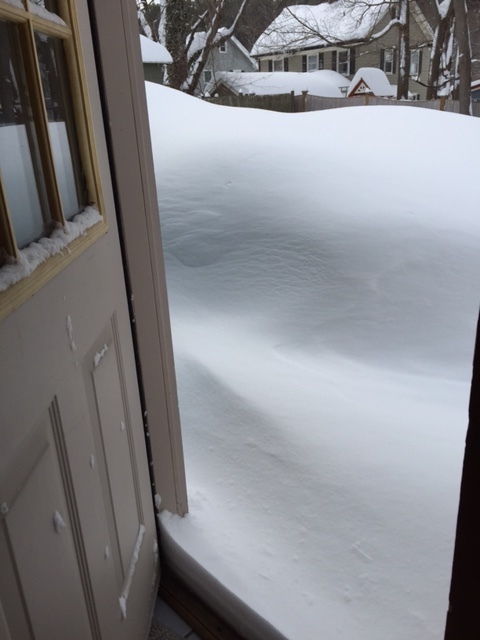 I’m sorry for those of you who’ve been relating to this for some time now and I’ll just bet you’re not thinking of those drifts as anything besides cavernous white crap that won’t go away. Shakespeare started it all with A Winter’s Tale and Macbeth where “Lawn as white as driven snow,” and “Black Macbeth will seem as pure as snow,” respectively, appeared. Those of you familiar with these drifts—are you thinking of them as pure and clean or do other adjectives and/or phrases come to mind? A friend sent me this picture of her house/yard. She didn’t once use the words pure or driven. This one dates back to the 1400s. Chaucer used it in Merchant’s Tale. According to sources, Shakespeare used it in many of his works. When we’re in love it affects the part of the brain responsible for critical thinking according to a study by University College London and a Rutgers University study concluded that the brain’s amygdala, responsible for memory, decision-making and emotional reactions is “temporarily mothballed.” Ah, love it’s a double-edged sword (implication there is that it cuts both ways, dates back to Biblical times). Wiktionary says this one dates back to 13th century Latin. Anyone study Latin? Or, it could have been uttered as far back as the 6th century from the Eastern proverb about a sparrow in the hand is worth more than a thousand of them flying around. It means that a sure thing is better than taking a risk on something that may or may not turn out. Tell that to any risk-taker or leader and they’ll disagree. It’s appeared since the 1800s and some believe it’s because rain falls straight down, as in a straight line (right, good, perfect) and others think it’s the rain reference because rain makes things flourish and grow. Put the two together and it sounds mellifluous, doesn’t it? It does…right as rain. Dates back to the 1600s when kitchen pots and kettles used became black (from fire and soot and such) from that use. When we use it, we’re telling someone that they’re being hypocritical. There are superstitions that theorize if you tell someone something such as “Good Luck” the opposite will happen. When we visited St. Thomas, we were told that the natives of the island did not want you to tell them “Have a nice day.” Doing so would jinx them into having just the opposite. Hubby forgot as we were leaving and told a nice lady of the island that. She averted his eyes, lifted her hand and waved it in a no-no way as she shook her head. Same thing here. Most think it has to do with actors, the theater and the superstitions associated with it. According to The Phrase Finder, it could be from a corruption of a Hebrew phrase during WWII that meant success. Do I LOOK frail to you? And from Shakespeare’s Hamlet: Frailty, thy name is woman! Bill wrote more than a few times about weak women and Hamlet had some Mom issues so I think there’s something to all that. As most of us females know, we’ve come a long way, baby and frailty just isn’t in my wheelhouse. Oh, and “in the nick of time” relates all the way back to the 1500s and it has to do with pudding. Do you have some favorite phrases? Phrases you hate? Did you hear unique phrases from your parents or grandparents when you were growing up? You covered quite a few sayings here, Brig, and yes, this Northerner never heard “Drunker than Cooter Brown”, but it made me think of the expression, “old coot” (a phrase I loathe). The fact that this guy, someone seemingly so incompetent, could live on for decades in the vernacular, is head-spinning but on some level, he/it explains why intellectually vacant Kim Kardashian is a multi-millionaire. Kim and Kanye both, V. Anyone who sings lying down and considers it art, irks me. I am a wood-knocker, although when you put it like that, it sounds deviant. Especially if you’re knocking wood in the morning, Smak. I remember reading a lot of these types of phrases in school literature and it wasn’t until high school that I started understanding what some of them meant. Red herring in particular threw me off and I’d be so confused, flipping through the pages looking for mentions of red and herrings. All of these do remind me of a Taiwanese saying that my mom often said to me growing up. Literally, it translates as: “Some shrimp is better than no fish.” Figuratively, it means that something is better than nothing. Hope you have a great weekend ahead! It is confusing, Lillian. Especially since there is no such fish as a red herring! The phrase your Mom said to you is similar to the a bird in the hand phrase. Thought I know now from living on this earth for awhile that sometimes something isn’t better than nothing. It just depends on what that something is. ;). You have good one too. Nice to see you. Ha! Your darling and your sweet sound like a pair, M. I like that phrase about water too. Didn’t’ think of that one but of course you would — it sounds peaceful, soothing and serene — and all about letting go of what we don’t need anymore. Nice to have you visit, my friend and thank you. You’re welcome Carrie. I do remember a time when research required far more than a few clicks but for lighthearted blogging purposes I’m giving myself some leeway. Now if one your characters used these phrases maybe your editor would put down that red pen. Have a good one, Carrie and as always thanks for dropping by. :). I’ve never heard “Drunker than Cooter Brown.” That’s a good one. I always enjoy learning more about our rich English language. I wish I could think of something off the top of my head…I think it’s as dead as a doornail. Oh, there’s one. Ha! Good to see you, Brigitte. Many haven’t unless she/he are from the South I don’t think. Deader than a door nail has been around forever and I’ve heard that one too. Good to be seen, Amy and I need to visit you. You’ve got a redesign on your blog, haven’t you? And, you participate in Friday fiction don’t you? Do you find it’s helped your writing, in both habit and form? I’ve been an absent blogger and visitor to some good blogs, one of which is yours. Thank you for stopping by, Amy. I’m forever changing things up. It’s probably more procrastination than anything. 🙂 But yes! I’ve redesigned and am back to The Bumble Files. I’m still doing FF and yes, I think it’s helped tremendously. It’s good to have a routine of sorts. I try to post twice a week, one FF. So, if someone wants to drop in for a quick visit, they can. Thanks for the kind words. I miss seeing you. So many of my friends have left, disappeared. They have what I call “ghost blogs.” They are only there in spirit. 🙂 Glad to see you back. That’s a good thing, change. My blog is ghostly from time to time. I’ve got to try the flash fiction. I think it forces one to choose words wisely and you know brevity isn’t one of my virtues. It definitely helps with word choice and writing more tightly. You should give it a go! It would be fun. It’s a great community. People are really supportive. These are great! 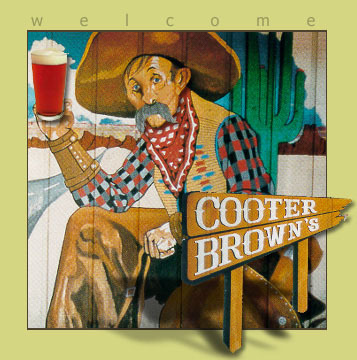 I’d never heard of “Cooter Brown,” although I DID know that “Cooter” was Southern for turtle (be warned–it also has a prurient definition). I often think about the phrases we use and how and when they came into public use. I listened to a lecture series recently that highlighted some of these (and unfortunately, none spring to mind immediately), that often sound age-old, but have been with us for only a few decades. I almost didn’t mention it for that reason because I know what you’re referring to but I heard that expression so much growing up (drunker than). Though what you’re referring to has so many names, I’m sure it’s in other phrases as well. Ha! That lecture series sounds interesting and I mean that sincerely. Often, we will be talking and one of us will use a well-worn phrase and I’ll usually try to trace it. Buck naked, for instance, the variations of where that originated from are numerous. How insightful Smak about what future generations will be musing over. Though I hope selfie, “at the end of the day,” and “clearly” will have exhausted themselves by then. Those are just a few I’m tired of hearing. Good to see you and thanks. Very interesting post, Ms B. I do believe I’m thankful that love is blind( smile) and I love that you used mellifluous. I said ” over and out” to my Army Gal the other day and she snipped ” we don’t say that, you know” …errrr I just like saying that girlie. Why thank you Ms A. Love is blind — I love that one as well and it’s so true. I think of the movie, Airplane where they kept saying Roger, Roger. And Vector, Victor. They may have said Over and Out. I like it too. Thank you, my poetic friend and soul sista. Have a good weekend…I’m glad you posted. I’ve missed you. You too. Relax and stay warm. Nice to be missed and I miss THIS. thanks Audra. Sorry I’m so late here, Brigitte. It was a ski weekend and I wanted to have the time read your wonderful writing. Yes, coming from the South like you, I remember my parents and grandparents using phrases all the time. A few come to mind that I suspect you’ll recognize – “Hold your horses,” “Bless your heart,” and “Madder than a wet hen.” I still use “bless your heart” (or her heart or his heart) for a variety of purposes. Just seems to fit. Great post, my dear! Cathy, you’re always welcome no matter how “late” you are. I recognize all of those and heard them over and over! I still use bless her heart/bless his heart. Have you noticed it can be used both nicely and not so nicely? Ha! When said in such a way, we know what meaning lies behind it. ;). Thanks my friend, always wonderful to hear from you. I wish we’d get over the overuses of “everything being literally something.” 😉 I’d never heard of “drunk as Cooter Brown,” either, but did know of cooters being turtles. Probably through friends who did archaeology in the south…. Ha! I know what you mean, JM. I’ve never heard of turtles being called that but it was kind of fun to explore where some phrases come from. Great to see you and hope you and yours are good. My favorite Southern idioms are “bless her/his heart”, “over yonder”, and “fixin’ to”. Since moving out of the South, I’ve lost most of my accent and don’t use these phrases very often, but as soon as I get back at grandma’s, they’re right back in my wheelhouse. I still say bless her/his heart! ha! I mean it sometimes and sometimes it’s sarcastic. I know what you mean about getting back into the Southern thing. You can leave but when you come back, you once again slide right back into that sweet (and sometimes not so sweet) Southern thang. Thanks—so great to see you!